Capsule Pack 2 Woven Pants 31in is rated 4.9 out of 5 by 7. 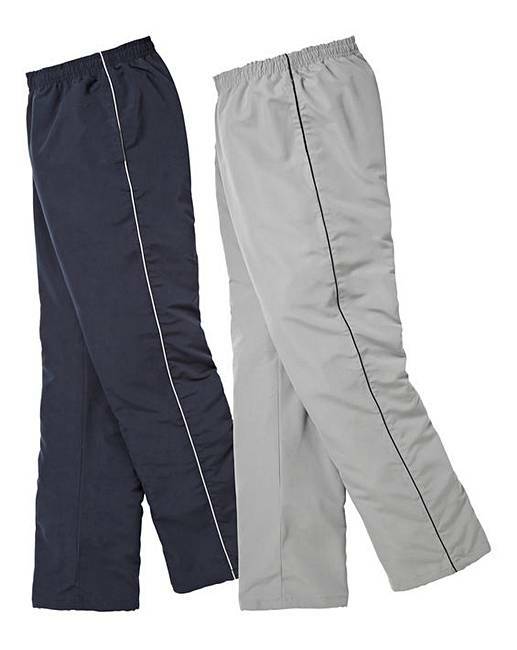 This Pack of Two Capsule Woven Joggers features contrast piping to the leg with an elasticated waistband complete with a fixed inner drawcord for added comfort. With a concealed adjustable drawcord at the hem for a customized fit. Available in four lengths and two colour packs. Rated 5 out of 5 by dessie49 from value for money I was really pleased with the excellent value of these casual trousers.Good quality good work keep it up. Rated 5 out of 5 by Alan22 from Excellent Perfect size. Decent material. Spot on. Price very reasonable. Rated 5 out of 5 by catlady48 from Comfortable trousers Bought these for my husband. Says they are nice and comfortable to wear.